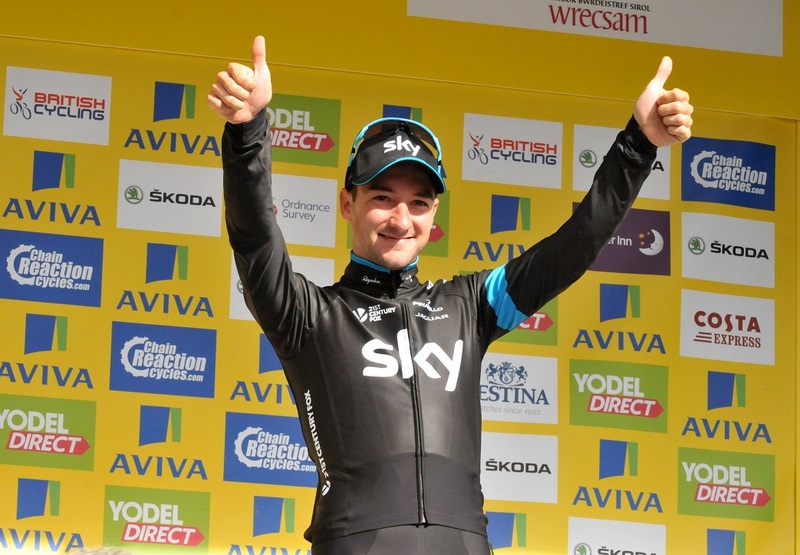 Team Sky’s Elia Viviani took the opening stage of the 2015 Tour of Britain, sprinting to victory in one of the closest finishes the race has ever seen. Home favourite Mark Cavendish of Etixx-QuickStep was the runner-up, losing out in the photo finish. The win comes as a much-needed boost for the Italian, who admitted that he had been disappointed by his results in the Vattenfall Cyclassics and the GP Plouay late last month. Viviani benefitted from a day’s worth of work from his team, with Brit Andy Fenn notably putting in big stints at the front of the peloton. 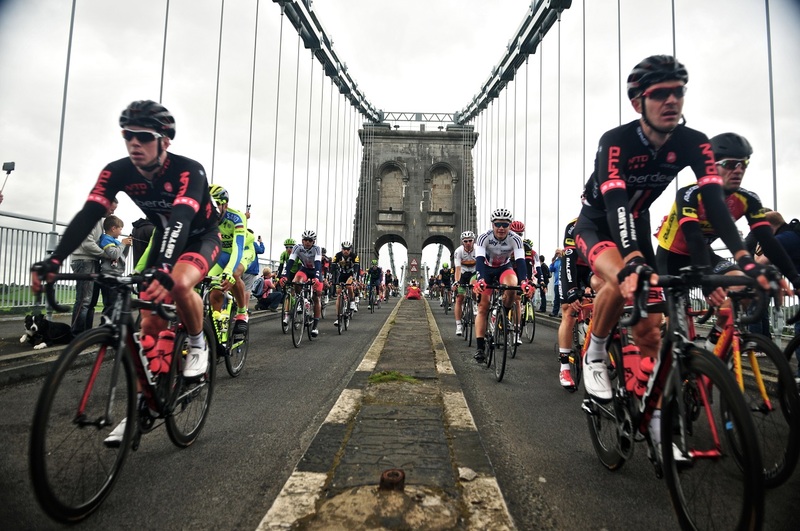 Earlier in the day a four-man break was established almost as soon as the peloton left the town of Beaumaris, with Peter Williams (One Pro Cycling), Conor Dunne (An Post-Chainreaction), Tom Stewart (Madison-Genesis) and Kristian House (JLT-Condor) out front for most of the day’s 178km. 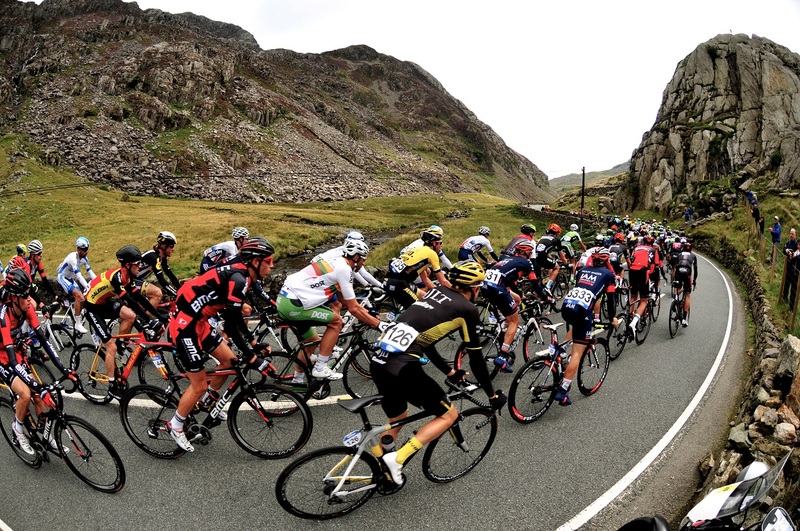 House’s efforts saw him take the first Skoda King of the Mountains jersey of the race with a late attack over the final climb of the day at Bwlch. 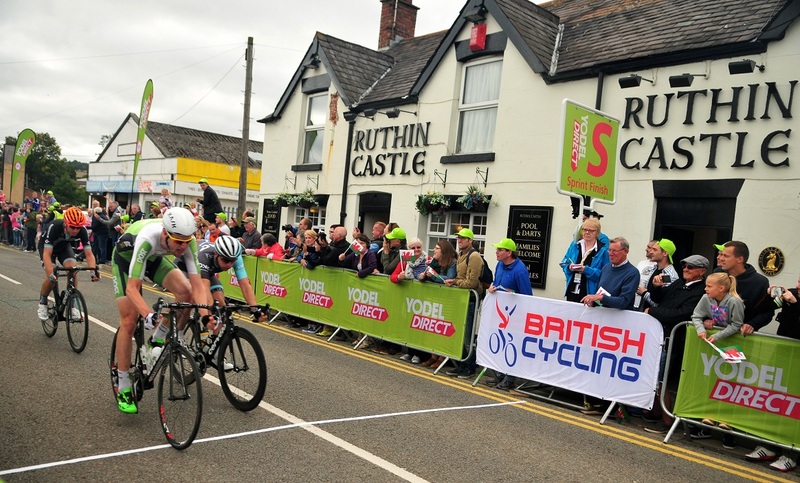 Dunne leads the Yodel Sprint classification. With the might of Etixx-QuickStep and Sky riding at the front of the peloton for much of the day, there was no chance that the escapees would be allowed to contest the finish among themselves. That didn’t stop House trying though, and his repeated attacks saw him secure a lump of local cheese and the Rouleur Combativity Award. Nevertheless, he and his breakmates were brought back with 1.5km to go. The technical final kilometres saw Cavendish’s Etixx-QuickStep train then came to the fore, with Colombian Fernando Gaviria and Mark Renshaw leading out the Manxman, but in the end it was to no avail. Lotto-Soudal’s Andre Greipel rounded out the podium, while Team Wiggins’ Owain Doull put in a strong showing to finish fourth. All photos provided by SweetSpot. Previous Previous post: Can Katusha ride?